Republicans know it, as do Democrats: Thursday's U.S. Senate votes on rival measures will likely do nothing to reopen the government. Yet the Republican-run Senate has put itself in a tight spot anyway, taking up votes on competing bills, including one from their own party leaders that would support an unpopular president pushing an unpopular policy that has provoked an unpopular record-breaking shutdown. The Republican package poised to fail in the Senate on Thursday includes $ 5.7 billion to build a wall along the U.S.-Mexico border — a non-starter for Democrats. In exchange, Trump had offered three years of relief for 700,000 "Dreamers," immigrants brought illegally to the U.S. as children and protected from deportation by the Deferred Action for Childhood Arrivals (DACA) program. Seeking a permanent pathway to citizenship for DACA recipients, Democrats have already rebuffed Trump's offer. Their proposal would fund the government through Feb. 8, and would hike spending on border security to an as-yet unspecified amount that would exceed the previous $ 1.3 billion offer. It would not include wall funding. Republicans are expected to reject that offer as well. All of which makes Thursday's votes a perplexing piece of political theatre. "The whole situation is one giant kabuki drama right now," said Brent Budowsky, a columnist and former congressional staffer for former Texas Democratic senator Lloyd Bentsen. "Everybody's playing the predesignated role, knowing that it will not end the shutdown, but just in preparation for what will come next when they can figure out what they might want to do. They really don't know right now." Whatever happens on Thursday will be viewed as setting the table for more serious negotiations. 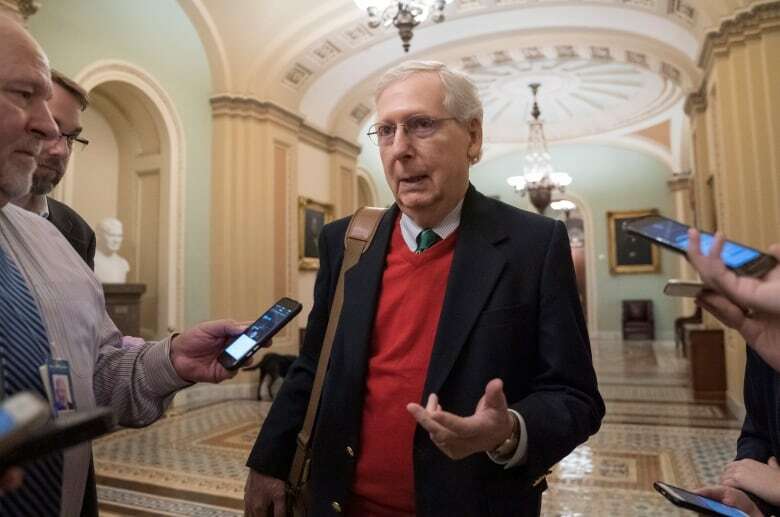 After 34 days of silence, Republican senators have pressured Senate Majority Leader Mitch McConnell to try to negotiate an end to the partial shutdown that has denied 800,000 federal workers their paycheques. With 22 Republicans up for re-election next year, McConnell's absence up to this point has let the Democrats and Trump take the heat on negotiations. But lawmakers from both sides still have to look like they're trying to end the stalemate by operating the normal legislative process in good faith. "Senators don't like sitting on the sidelines; they need to look like they're part of a solution," said Linda Fowler, a professor of government at Dartmouth College in New Hampshire. For McConnell, it may also come down to a matter of validation. "McConnell has been telling Trump all along there aren't 60 votes for this," Fowler said. "So this is partly aimed at an audience of one, in a sense saying to Trump, 'See? We've been telling you there aren't the votes for your wall.'" McConnell has said from the beginning he wanted to put something on the floor that he knows the president would sign. That appears to be what he's doing now, said Scott Jennings, a Republican strategist and former McConnell adviser who remains close with the Kentucky senator. "The president finally gave him some public signals about that over the weekend," Jennings said. "Coupled with the fact the shutdown has been going on for so long, [and] that McConnell has got something the president will sign, this is a starting point for negotiation because this [shutdown] is going on long enough." Republicans have a 53-47 majority in the Senate. Delivering seven Democratic votes to get passage for Trump's offer appears implausible. That said, Jennings believes getting all or most of the Republican caucus on side would send a clear message. "That would be a win to show a united front on the president's position." Democrats appear to be in the position of strength, however. 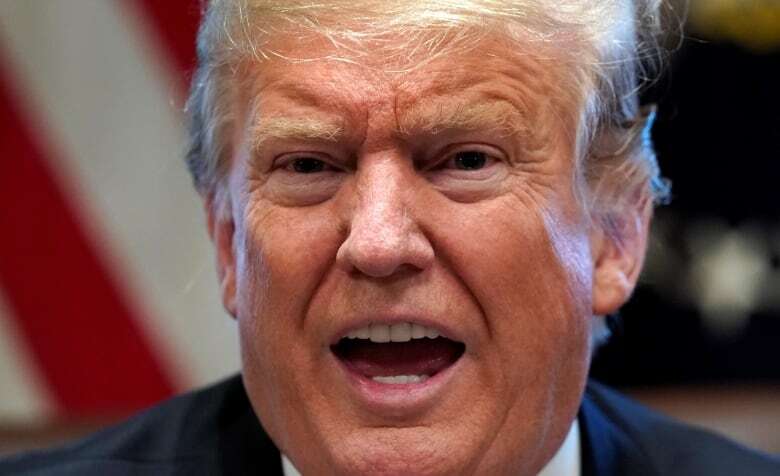 Trump's approval rating dipped to 39.5 per cent on Wednesday on the polling website FiveThirtyEight, and a Pew Research poll last month found only 40 per cent of Americans polled believe the wall should be an immediate priority. That same Pew poll suggests that 58 per cent believe the shutdown is a "very serious problem" for the nation. And Tuesday's Supreme Court decision to pass on weighing in on the future of DACA only weakened the Republicans' hand. The decision effectively allows the program to continue, despite Trump's attempts to end it. Blocking those deportations undermines the Republican position and eases pressure on Democrats to save DACA — at least in the short term. The vote on Thursday allows Republicans to show voters they put a measure to vote, and that Democrats turned it down. 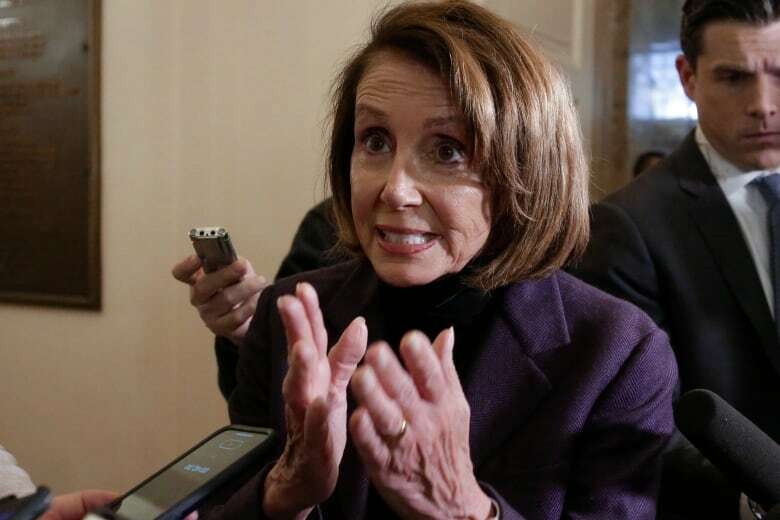 "We're gonna put this vote on the record to at least point out that Senate Democrats and [Speaker] Nancy Pelosi in the House refused to negotiate in good faith," said Ryan Stubenrauch, a Republican strategist in Ohio. "They'll be shooting down a reasonable, common-sense proposal." 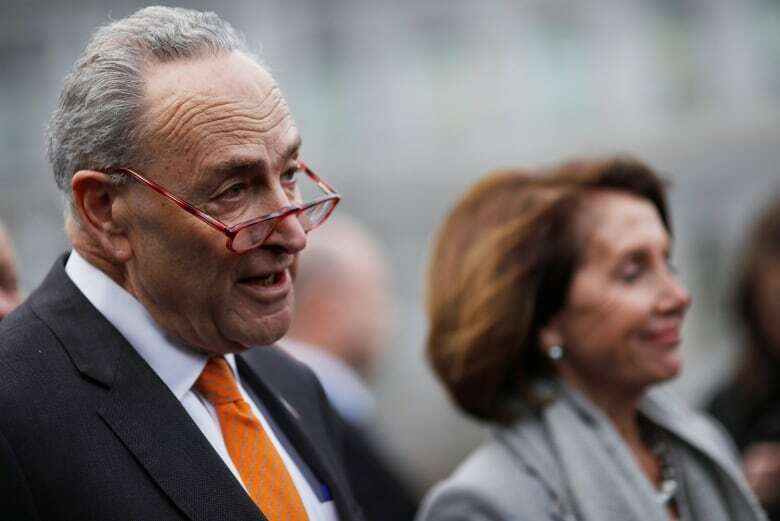 Not so, according to Democratic Senate Minority Leader Chuck Schumer, who has argued Trump's proposal includes "poison pill" changes to the nation's asylum laws. The bill, he says, was negotiated between Republicans and other Republicans, without Democratic input. Even if Thursday's measures stand no chance of passage, it will at least begin the legislative process — a first step toward recognition by both sides that it's necessary to reach some compromise to reopen government, said Ira Shapiro, a former senior Senate staffer and author of The Last Great Senate. "So in that sense, I suppose it's a glimmer of hope," he said. Jennings agreed on that point. "Maybe it gets their juices flowing. I hope the machinations of going through the legislative process convinces these legislators that talking and debating and dealing is better than not," he said. "That deal is out there somewhere."